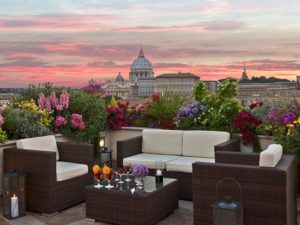 The social dinner will take place on September 13th at 20:30 at the roofgarden restaurant ‘Les Etoiles’, which is famous for its exquisite cuisine and for its 360° panorama of Rome. 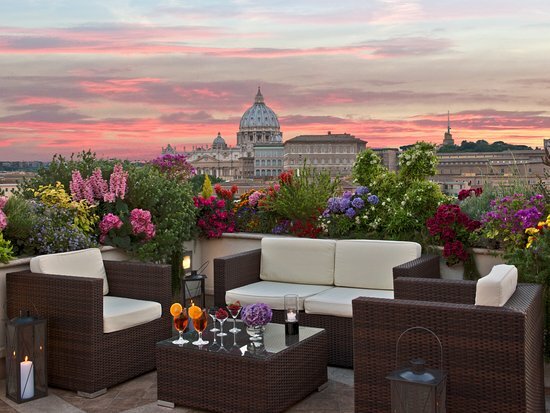 It is situated only a few steps from St. Peters basilica in Vatican City. Reviewers of this restaurant describe it as a fabulous place: “if you are looking for excellent food in an impossibly beautiful location”, especially for its breathtaking views at sunset. More reviews can be found in https://www.tripadvisor.com/. Please note that prior reservation is required by the 12th of September. In order to make a reservation, please complete the form at the following link: RESERVATION FORM indicating for how many persons you would like to make a reservation. Payment (60€) is to be settled in cash on site at the registration desk. The restaurant is situated within 10 minutes walk from Ottaviano metro station.